Terbina HANLEY was born 6 Jul 1908 in Marion, Grant, Indiana to Henry Harry HANLEY and Grace Helen JACKSON. On 4 Jun 1927 in Grant County, Indiana she married Dillard Jennings GOSSETT. Together they had at least three daughters. 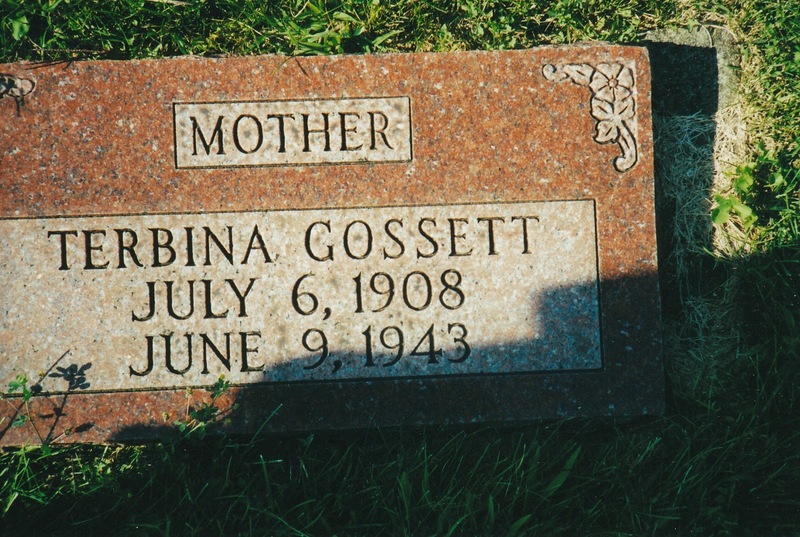 Sadly, on 9 Jun 1943 in Grant County Terbina died of kidney failure at the young age of 34. She is buried in Grant Memorial Park, Marion, Indiana along side her parents.